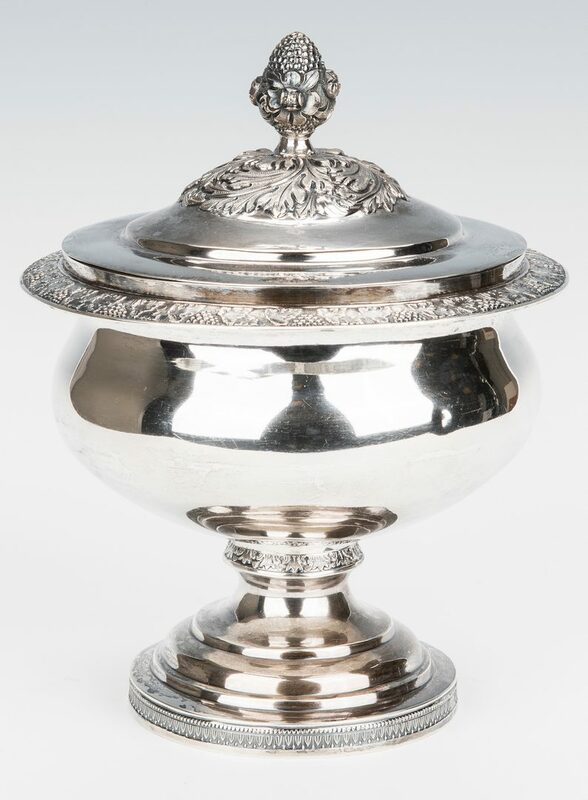 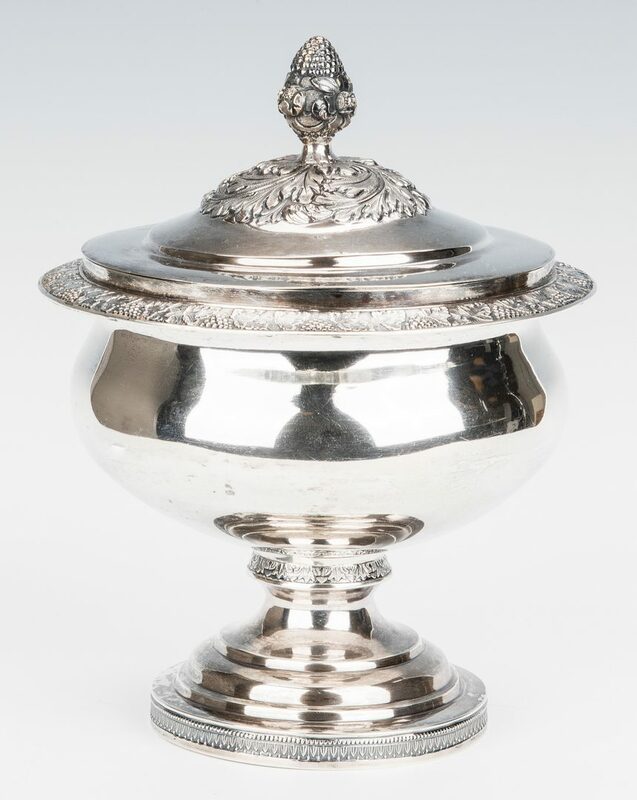 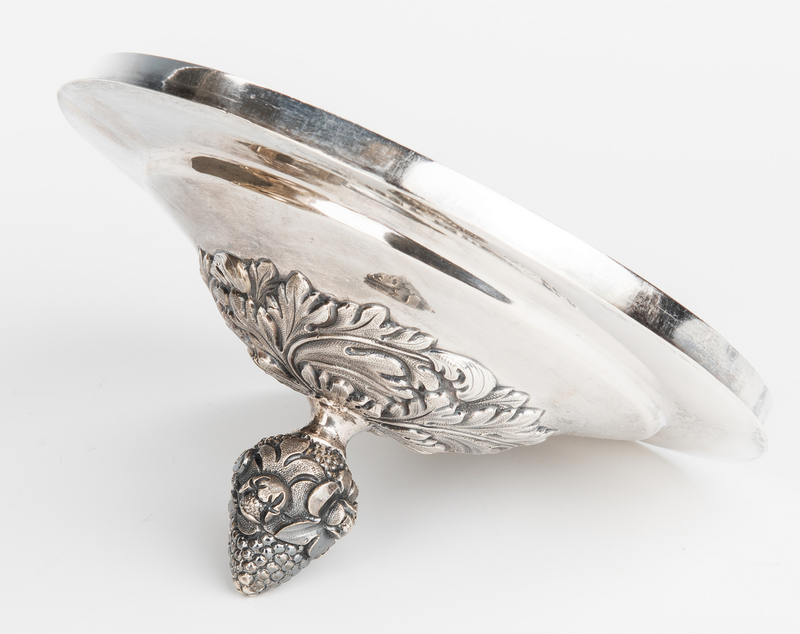 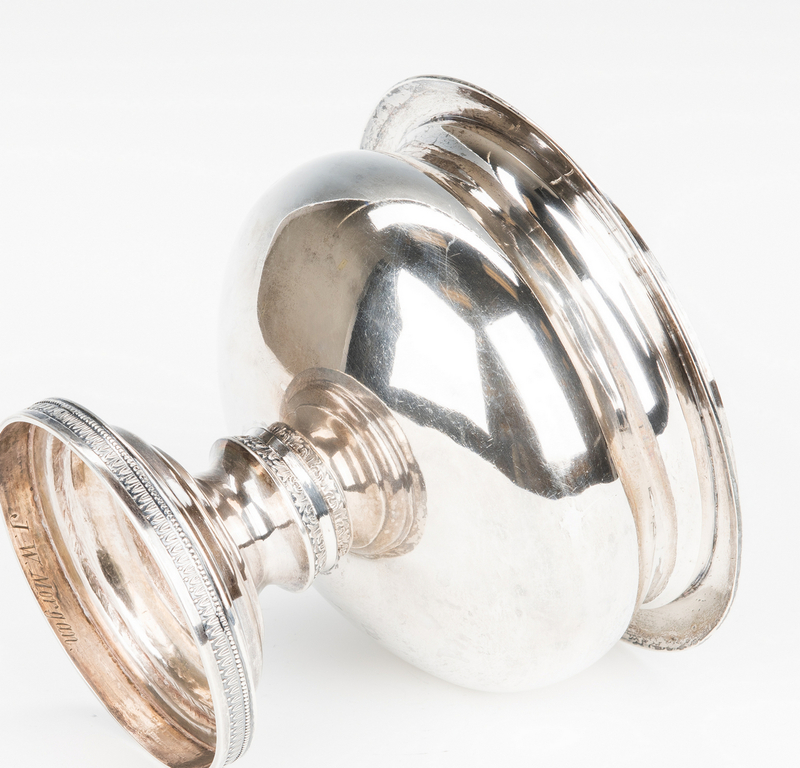 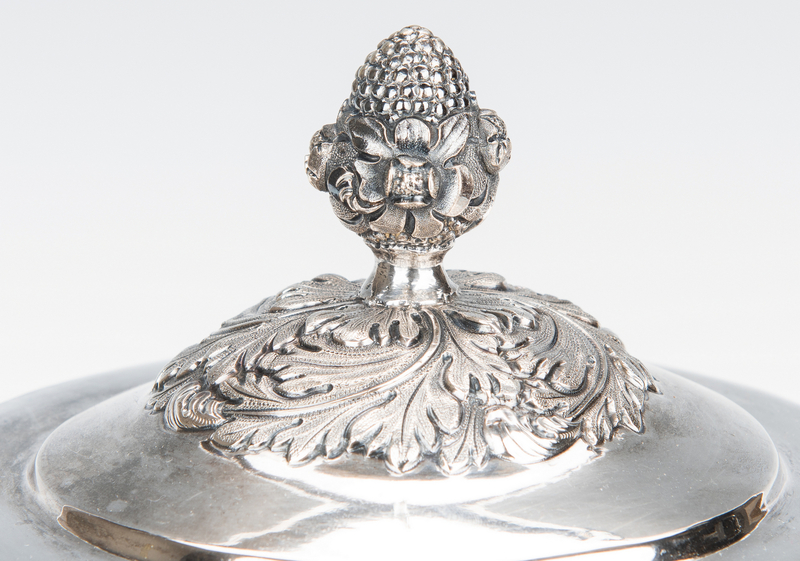 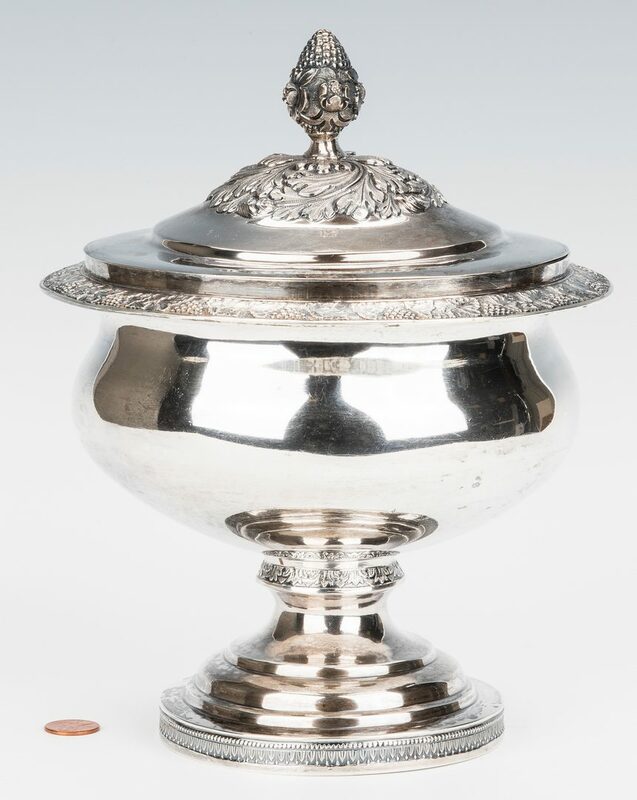 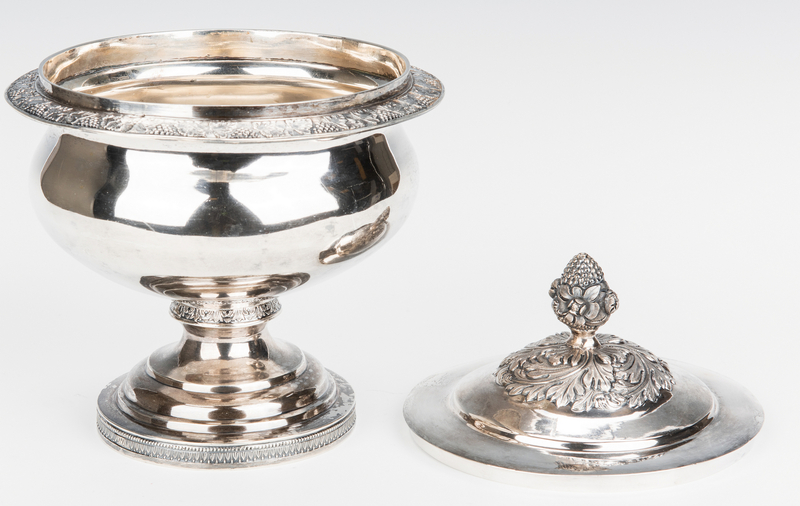 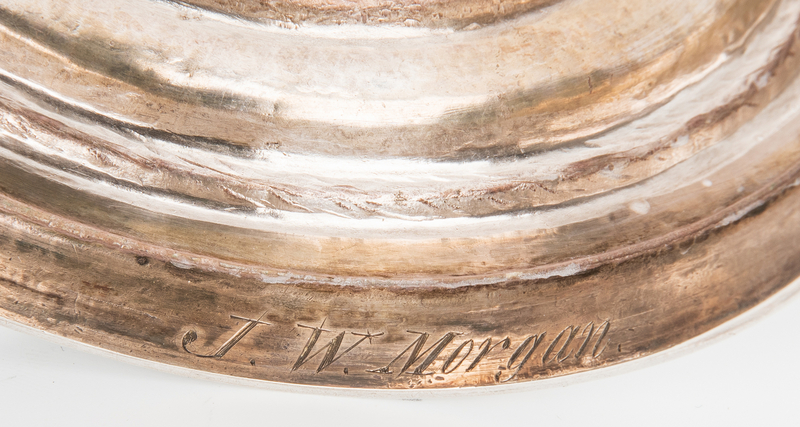 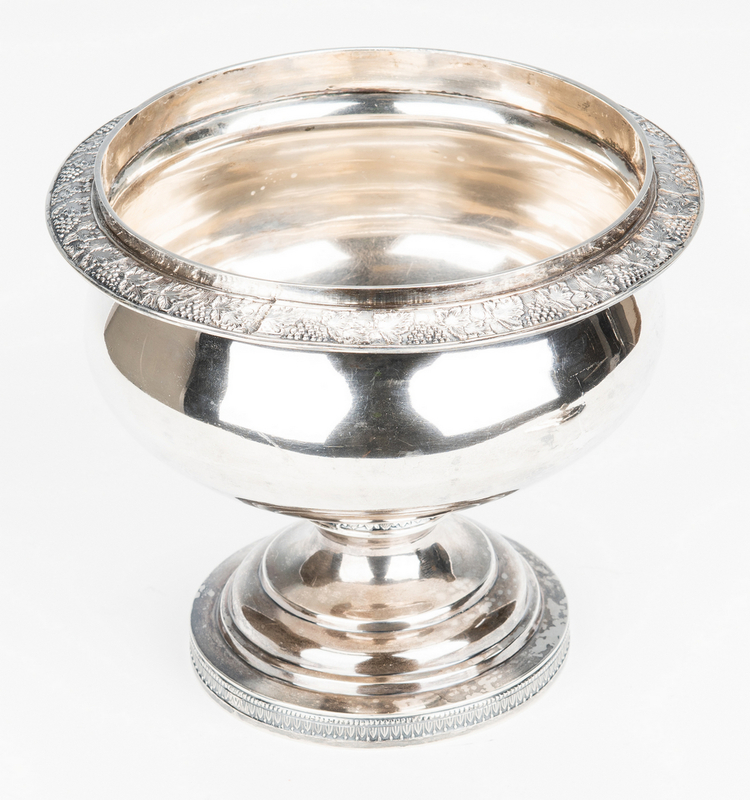 Philadelphia coin silver covered sugar bowl, marks for Robert & William Wilson (active 1838-1850). 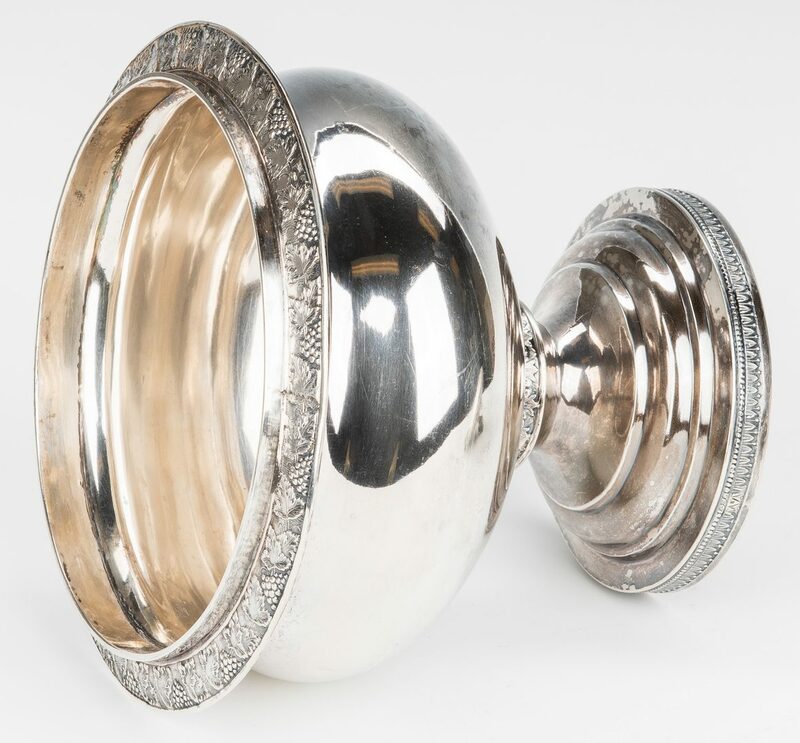 9 1/2" H x 7 3/4" dia. 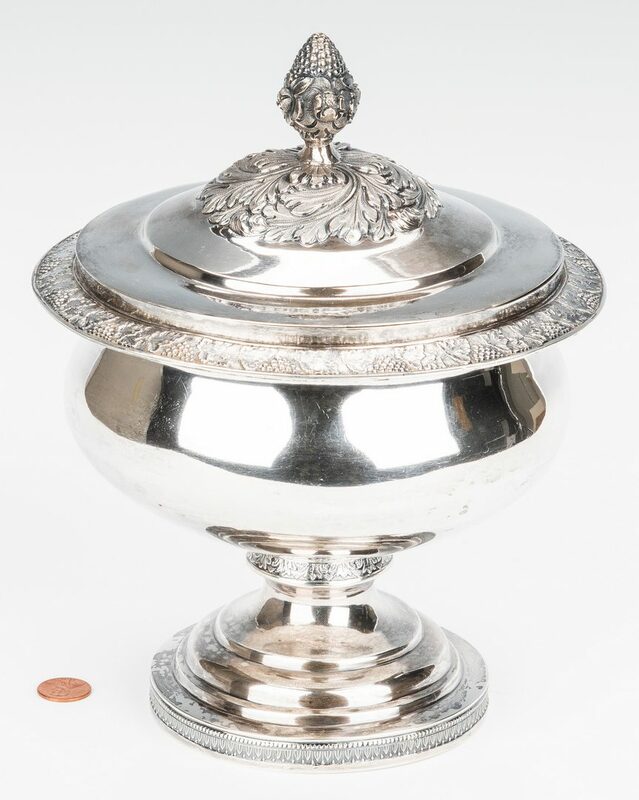 36.735 troy ounces. 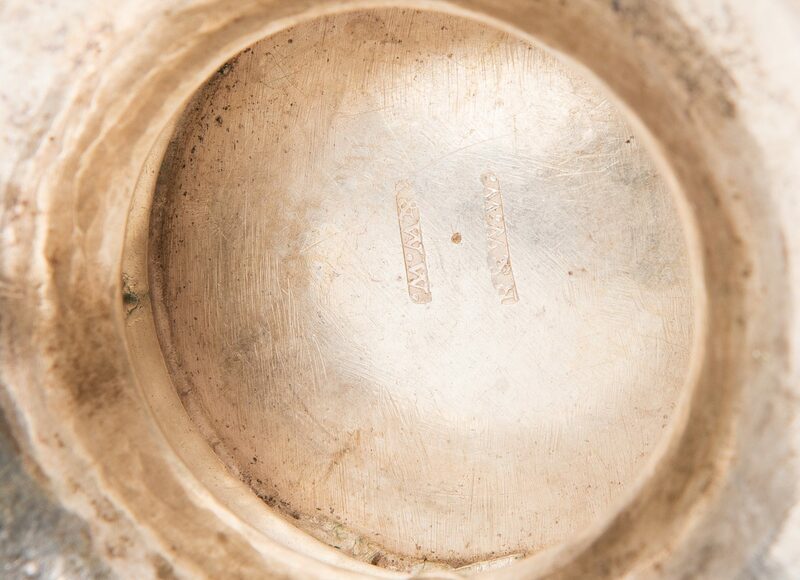 CONDITION: Some denting to body. 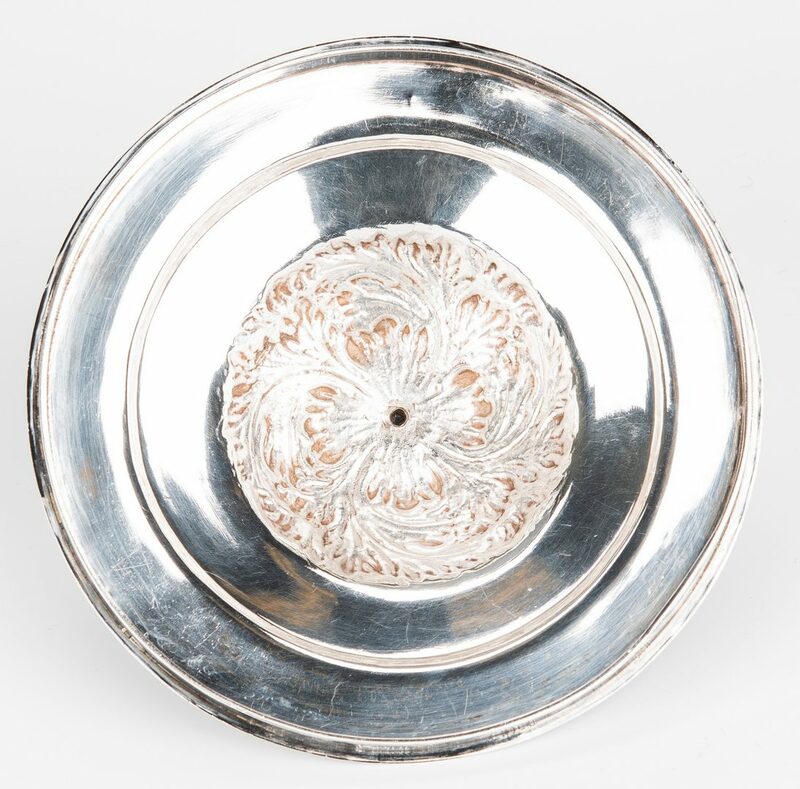 Denting and wear to lid rim, does not sit flush with base.